Bristol's science centre (pictured) is one of a number of public buildings to have benefited from a rooftop solar installation. Image: Bristol City Council. Bristol City Council, in partnership with Devon and Plymouth councils, has secured a €1.9 million (£1.7 million) grant from the European Investment Bank and the European Commission to fund the deployment of new renewable energy, energy efficiency, sustainable transport and heat networks project in the region. The support originates from the European Local Energy Assistance (ELENA) funding facility, which was also the source of an initial £50 million fund awarded to Bristol in 2014 to support a range of energy and sustainability projects. Since then, Bristol has emerged as one of the UK’s leading destinations for clean energy and sustainability projects, culminating in the launch of Bristol Energy, a council-owned utility supplying locally-sourced power to Bristolians. 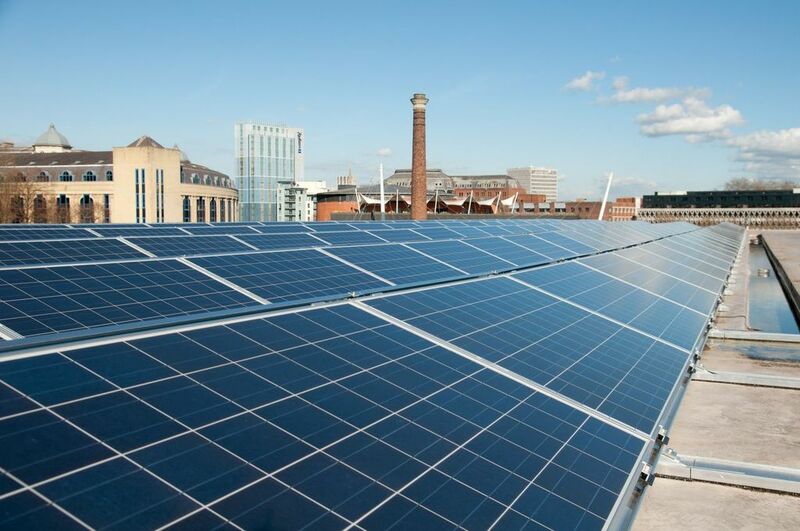 Around 8MW of solar PV generating capacity has been installed by Bristol City Council and that figure stands to swell further underneath the new programme. Devon County Council cabinet member for the environment Roger Croad said that the funding would help the county kick start a range of clean energy projects, and it is expected that it will trigger at least £16 million of investment into low carbon initiatives in Devon alone. Councillor Kye Dudd, cabinet member for energy, waste and regulatory services at Bristol City Council, described the new funding as “yet another really exciting step” towards the city’s carbon reduction. “The scale of sustainable development generated by the last ELENA grant made an enormously positive impact on our ability to deliver clean energy for the city, so we have high hopes for the opportunities that come with this latest round of European funding. In May last year Bristol City Council set its sights on becoming carbon neutral by 2050, stating that as much as £40 million could be invested in the city's renewables capacity by 2027.